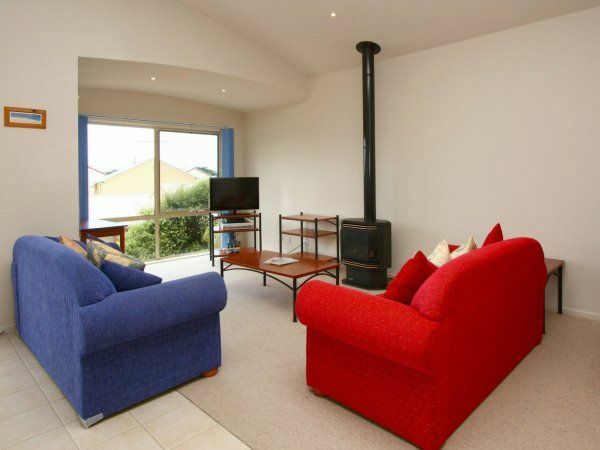 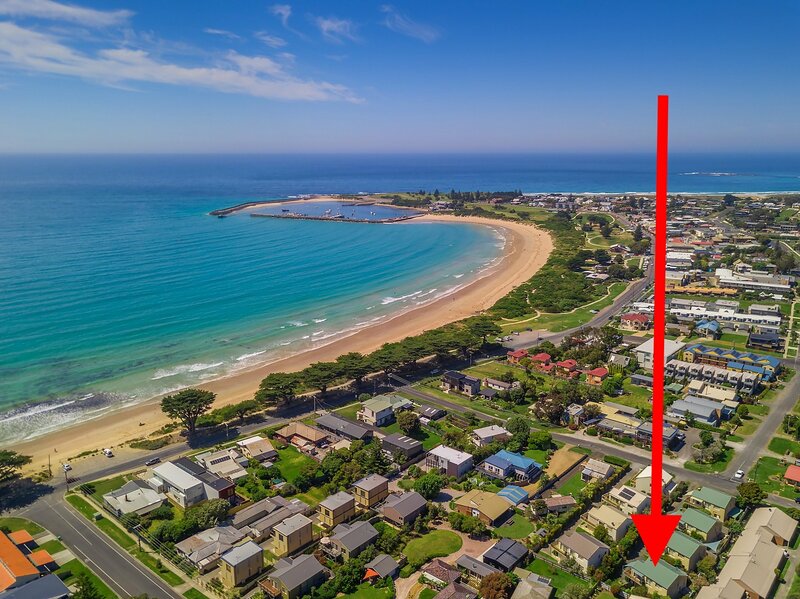 Sands Quattro is in a quiet court location, but just 200m walk to the beach and the main street of Apollo Bay. 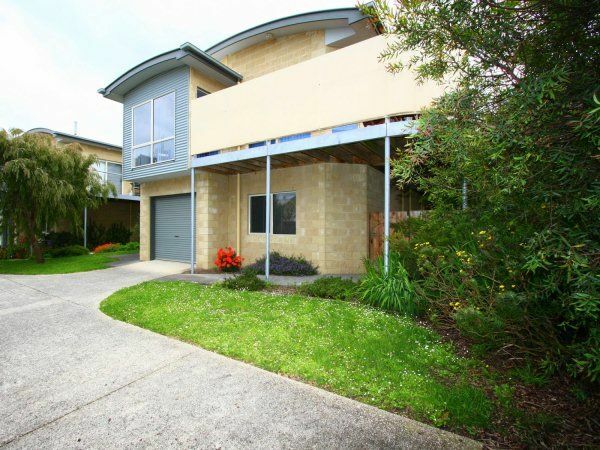 This attractive two storey sandstone and colourbond home is fully self contained and equipped for an enjoyable weekend escape or family holiday. 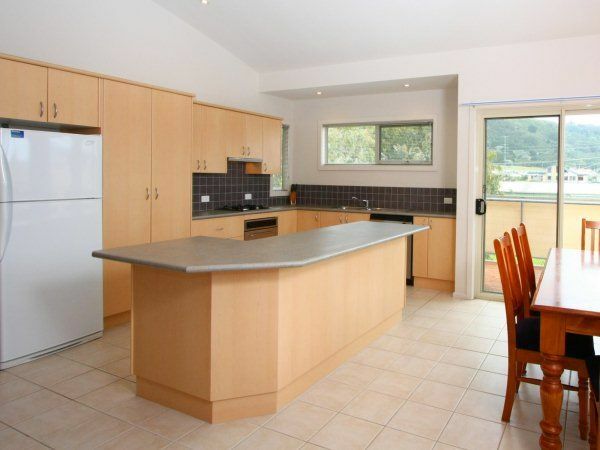 On the upstairs level is an open plan kitchen, dining and living area. 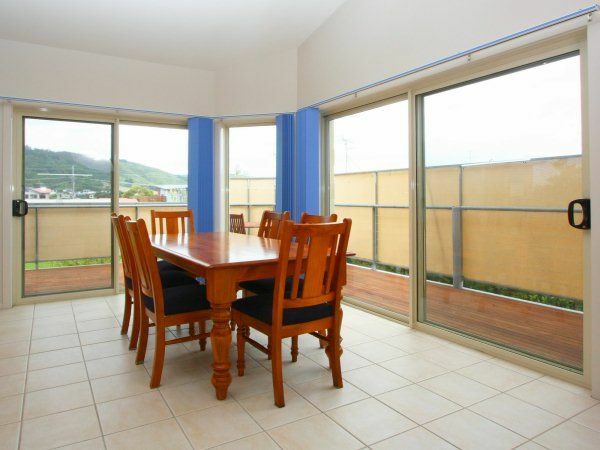 Sliding glass doors lead out onto the sheltered, north facing deck with BBQ which has beautiful views of the rolling Otway hills. 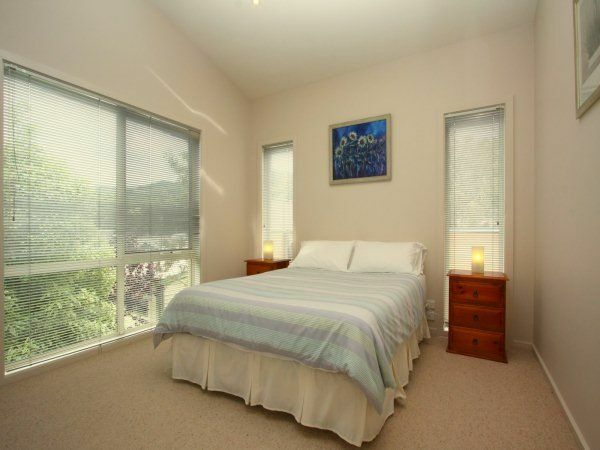 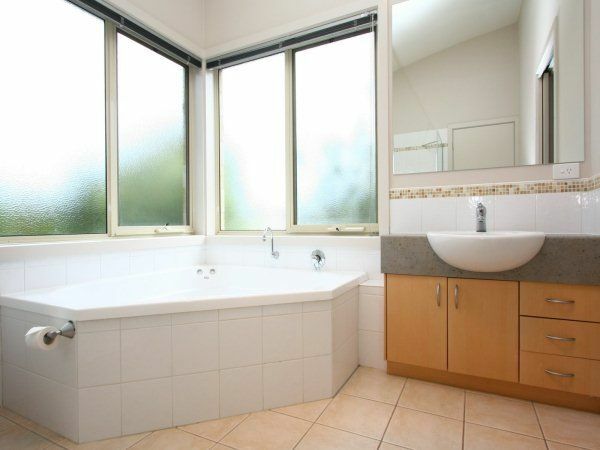 Also on the upstairs level is the main bedroom and bathroom with large corner spa. 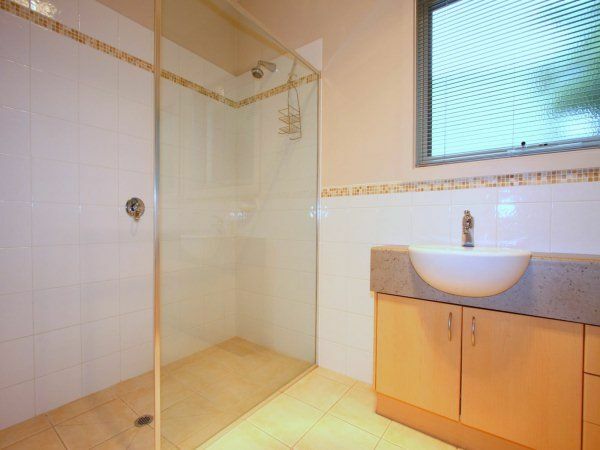 Downstairs on the entry level are two further bedrooms, a bathroom with shower, separate toilet, laundry with washing machine and dryer, and secure garage. 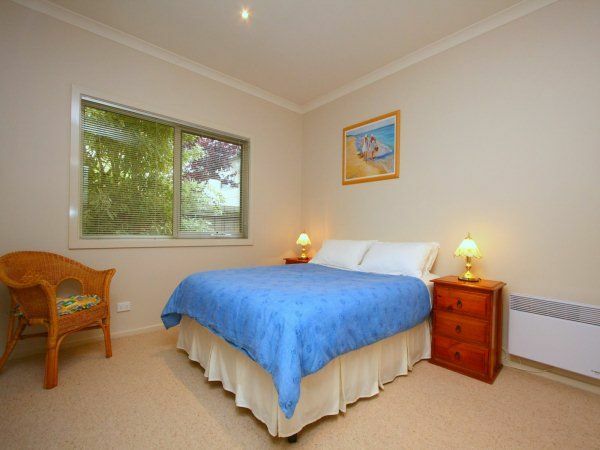 Sands Quattro can sleep six people in three bedrooms, with two queen size beds and two single beds. 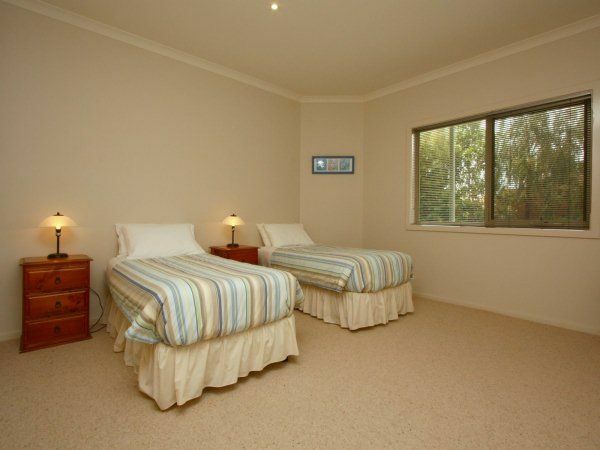 *Minimum rate applies during this period, so rate is the same for 2 – 4 people.